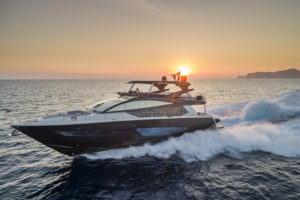 The upcoming Palma International Boat Show will see Pearl Yachts present the Pearl 95, the Pearl 80 and the Pearl 65 hosted by Baxter Marine, their dealers for the Med. 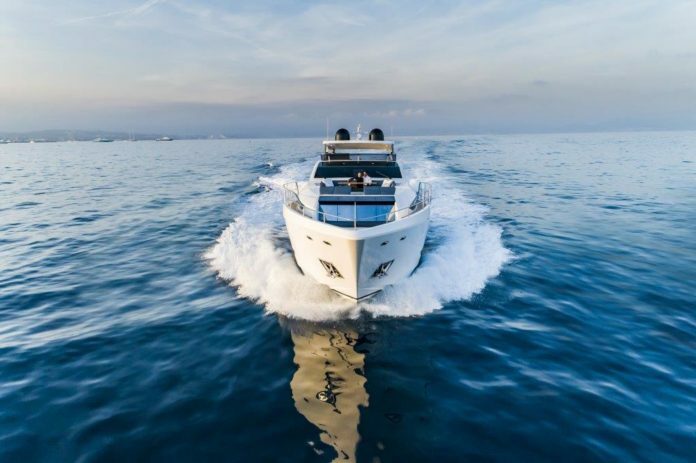 Visitors to the Palma International Boat Show, scheduled from April 27th to May 1st at the Marina Moll Vell in Palma, Spain, will have the chance to tour the full range of Pearl Yachts at the stand L20 – L22. The new Pearl 95, the shipyard’s current flagship, features a full beam owner’s cabin on the main deck and a beach club complete with fold down buttresses. The Pearl 80, with its spectacular flybridge and accommodation for eight guests and two crew, features a hydraulic bathing platform and a top speed of 35 knots. Their little sister, the Pearl 65, concentrates all of Pearl’s best features into a compact yacht. All Pearl yachts feature naval architecture by Bill Dixon and contemporary interiors by Kelly Hoppen MBE for seakeeping performance. All of the range is covered by Pearl’s industry leading five-year warranty. In the words of Iain Smallridge, Peal Yachts’ Managing Director: “We are excited and happy to be attending the upcoming Palma International Boat Show, an important event on our calendar and one that we never want to miss. The Mediterranean is an important market for our yachts and the Palma Boat Show is always very well attended. Baxter Marine, our long-term collaborator, has offices in Palma and offers first class after sales support and assistance. We are very much looking forward to this key event”.